For over two decades, Deirdre Boyd has been a global leader in the field of recovery from addiction. Before DBRR, she was for 20 years CEO of the Addiction Recovery Foundation, editor of Addiction Today, founder of the UK/European Symposia on Addictive Disorders (under her helm, the largest in UK/Europe), author of Addiction & Recovery: self-help for friends, families and addicts, serves on the Centre for Policy Studies’ Addictions committee and on IC&RC’s Advisory Council, and contributed to government policy. By public vote, she was awarded Directory of Social Change Influencer Of The Year 2012. Recovery Resources is the umbrella name for: the DB Recovery News daily news service sent to about 9,000 beneficiaries (click on News tab above to search for stories), the Recovery Resources online publication and conferences such as Recovery Plus, Interventions Plus and Recovery Plus WARriors (work, addiction, recovery). 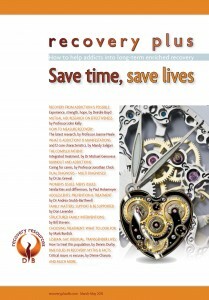 Recovery Plus interactive journal went live on 1 July 2015. 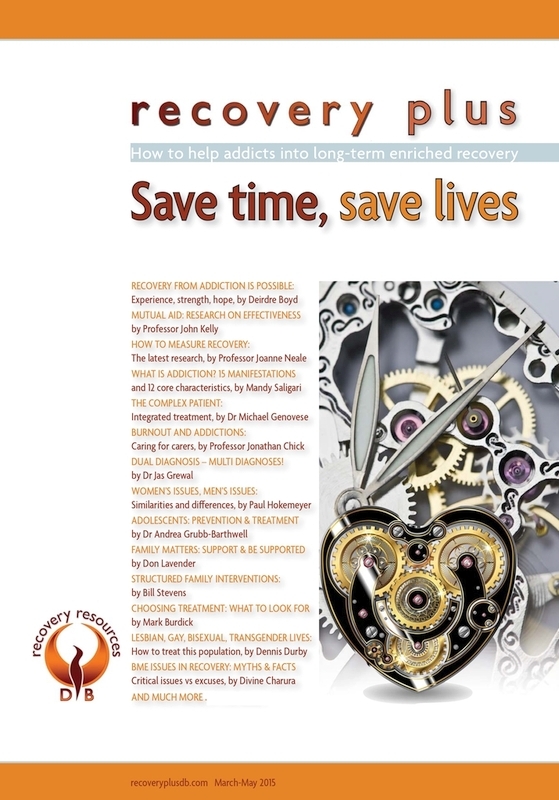 It features articles across comprehensive topics – a ‘crash course’ in addiction and recovery – by the worldclass experts who spoke at the inaugural Recovery Plus and even includes their PowerPoint presentations. There is also a Directory of selfhelp/mutual-aid organisations with weblinks and a Directory of treatment centres with direct links to them. 2015 introduced Recovery Plus, an intense comprehensive one-day ‘crash course’ in helping others to recover from addictive substances and behaviours. 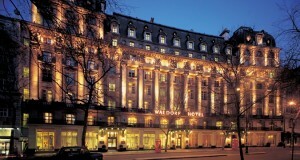 It was such a success – despite the World War II unexploded bomb found beside it – that the next one will be held 20 May 2016 in the Waldorf Hilton, London. So many interventionists booked to attend Recovery Plus in May 2015 that an Interventions Plus day was added – and during that, they unanimously requested a further 2 training/ networking days. So Interventions Plus will be held 20 October 2015 and 21 May 2016. Recovery Plus WARriors (work, addiction, recovery) is dedicated to identifying addiction in the workplace and introducing recovery: to save lives, turn round employees and save companies money. 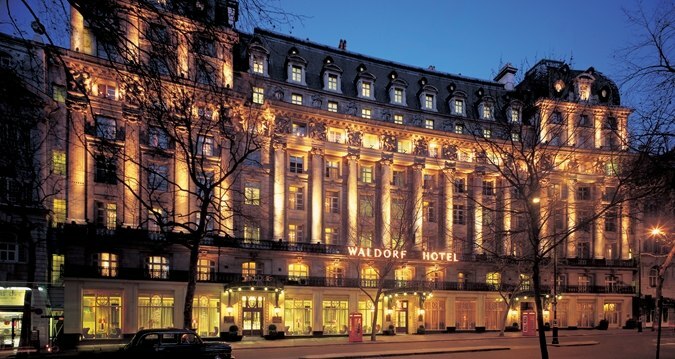 The inaugural conference will be held in the Waldorf Hilton, London, on 19 October 2015; the opening speaker will be Kevin Sabet. Want to raise the profile of your organisation? Use the three decades+ of Deirdre Boyd’s expertise in the media. She launched and edited publications ranging from business management to computers to addiction-recovery, as well as customer magazines for multinational corporates. Her all-round skills started in subscriptions, then heading production then journalist and editor on magazines ranging from women’s lifestyle to B2B to accountancy. She headed the PR for £120million-turnover Wang UK and appears as an expert on Sky, Channel 4 and BBC TV News, BBC radio and more.